Poverty levels are on the rise due to the current economy, and too many Idaho children are hungry over the weekends. Throughout Idaho, teachers share many stories of children returning to school on Monday after a weekend without enough to eat. Studies focusing on children deprived of food indicate that they are more likely to become sick, have a decreased attention span, and lack the enthusiasm to learn because they are concentrating on their hunger more than learning. On behalf of our Farmin Stidwell Elementary learning community I want to extend our sincere gratitude for the service the Backpack Program has provided to our school families. Throughout the 2016-2017 school year the Bonner Community Food Bank has provided weekend meals for 120 students [every week] at our school. This number is almost one quarter of our student body. Without the support of our community food bank many families would have to go without. The Backpack program began when an inner-city school nurse asked for help: the same students came to her with stomach aches and dizziness each Monday morning. She realized that they had not eaten since their free school lunch the Friday before. In response, school officials started sending home food on Fridays but made the mistake of putting the groceries in paper bags. The children were singled out and made to feel uncomfortable as well as hungry. Placing food discretely in backpacks helped them to look no different than other students while ensuring they received the nutrition they needed. The Bonner Community Food Bank works in partnership with school officials and Food For Our Children to identify chronically hungry children that could benefit from the BackPack Program. The Food Bank also houses the BackPack program, orders the food, coordinates the volunteers who help with the program, identifies funding sources and advertises the program. 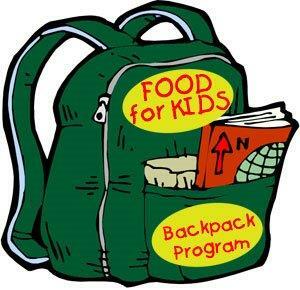 The weekend backpack weighs about six pounds and includes child-friendly, nutritious, non-perishable foods. These items will generally be comprised of two breakfasts, two lunches, two dinners and two snacks that are easy to prepare. The children return to school on Monday nourished and ready to learn. 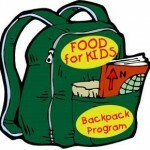 The need for backpacks of food for children in our community is great. With funding and support, we could distribute over 1,000 backpacks every week to elementary school children in the Lake Pend Oreille School District. Currently 1,049 elementary school children receive free or reduced price meals at school – this is 56% of all students enrolled in our district. *Sponsor a school – please contact us for more information.